What is NMX? An acronym for New Media Expo, a pre-CES convention. CES is the largest of all the hundreds of conventions that descend on Las Vegas every year. The Consumer Electronics Show. This week is CES…the center of the technology universe for one week. Check the bylines on any story about tech this week on ANY online or print publication. It’ll say Las Vegas. 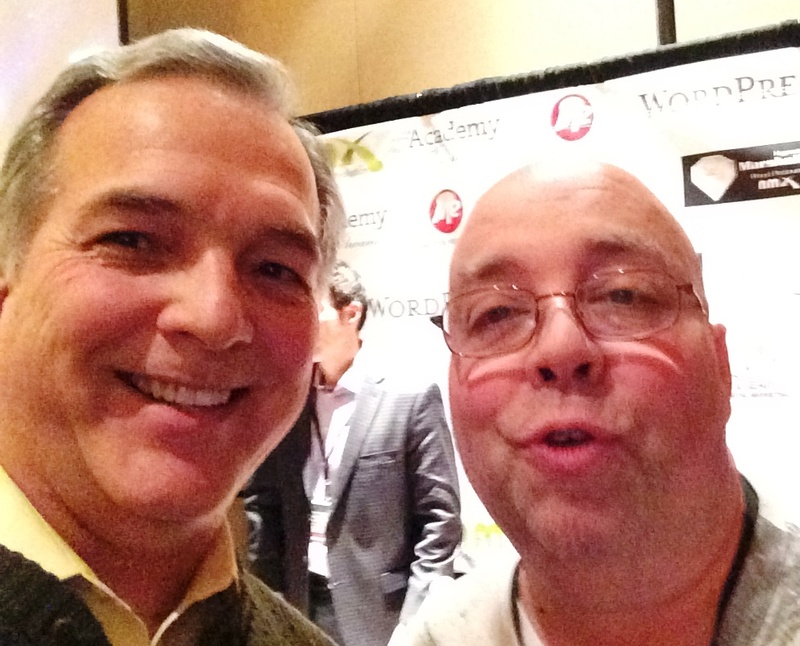 But this past weekend was NMX…a haven for anyone and everyone who loves social media, especially blogging and podcasting. The words “voice over” were spoken many times at this conference. Ya see, podcasters fancy themselves as “nearly” voice talent. Some of them are, or were performers, or maybe broadcasting personalities at one time. Most of the rest of them are converted housewives, publishers, writers, advice-givers, bloggers, and ___________ (fill in the blank from about 900 professions). All of them have a mic and most use Audacity. Most of them also know how to edit soundfiles, and produce long-format recordings. 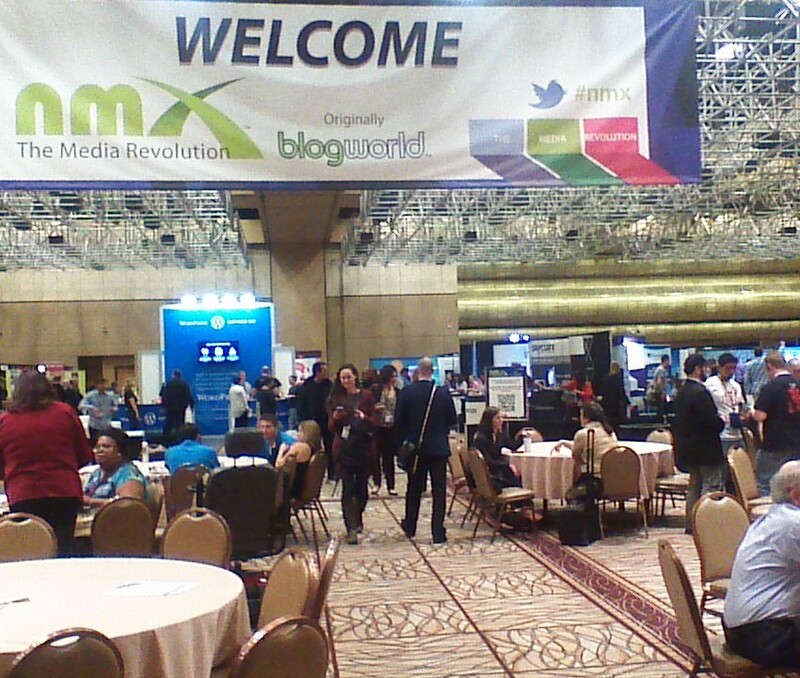 “Content” was a big buzz-word at NMX. Content providers. There was talk of how to provide compelling content, how to keep readers/listeners, knowing your audience, building passionate fans, constructing winning brands, writing tips…and much more. The former director of Thomas Nelson Publishers — Michael Hyatt — gave a compelling seminar on brand-building that I attended. Among his many tips: spend money on a headshot…a good headshot…and use it everywhere consistently online. 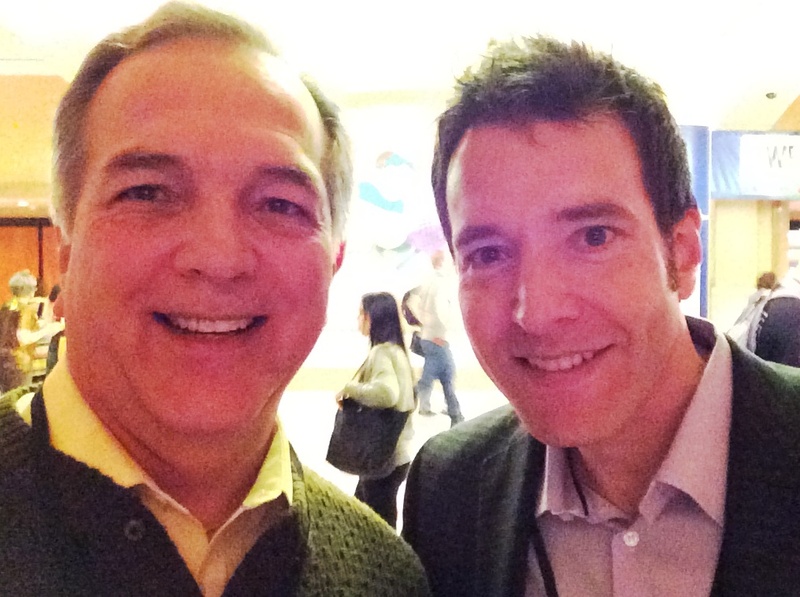 I considered… then declined to raise my hand, and say what a conundrum that seemed to be for voice-actors. You’ll be interested to know that there was an entire seminar devoted to promoting ACX to podcasters. The head of ACX – Jason Ojalvo (right) was there on that panel, as was David H. Lawrence XVII. study the craft at length, I thought that was a rather breezy carrot to hang in front of a bunch of podcasters…but then again, maybe not so much of a stretch. Who am I to judge that? At any rate, I was interested to find out that Lawrence (left) is about to launch a coaching solution for those who want to seriously go the ACX route. As soon as I get the OK from him, I’ll let you know more about it. None of can sit still and expect to be a voice over success. There are even greater opportunities, now, for voice actors. Good content, combined with knowing your audience, will always work in your favor. Audiobooks are still a hot market. Later this week: a report from the CES show floor.